Laboratory incubator applications are diverse because of the many different industries and protocols they are used for, so we have designed the BEING LAB Incubator family to accommodate a wide range of applications. 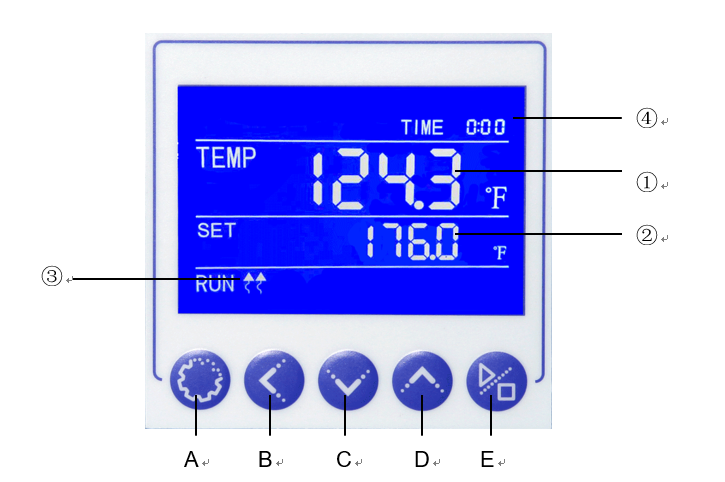 The BEING Controller guarantees temperature accuracy and control. We engineer the best safety features into all our products assuring piece of mind to our customers. Adjustable Fan Speed allows the user to regulate air flow around samples. Double door with inner glass door allowing full-width viewing of samples. Interior Chamber made from 304 stainless steel with a mirror polished finish making for easy cleaning. Anti-tilt shelving helps avoid accidents when shelves are moved. Top centered portal allows real-time testing of internal chamber temperature using external temperature measuring equipment. Pt100 temperature sensor provides high-temperature sensitivity and accuracy. The BEING Controller provides programmability for 7 periods and 9 steps for each period making for a total of 63 programmable steps. The Being Controllers are Programmable and Provide Key Information on Operation and Safety! ① TEMP area (PV): Showing measured temperature. ② SET area (SV): Showing set temperature. ③ Heating lamp: It lights up when it has heat output. ④ TIME: Time display window, it will display running time or parameter value. You can set limited alarm temperature according to the experimental temperature. When over temperature, there is the alarm with sound and light, that can prompt the operator to ensure the safe experiment. Design, safety test results are in line with international standards DIN 12880. P.I.D temperature controller provides accurate and reliable temperature control, built-in Over-temperature protection/alarm function. Automatic calibration function, able to adapt to a variety of laboratory environments. Extended Life Silicone Rubber Gasket provides excellent sealing and long service life, but is easily replaced when the time for replacement is needed. Mechanical convection facilitates hot air circulation. Inner chamber is made from corrosion-resistant mirror stainless steel. Round curved inner angle is easy to clean. Anti-skid shelf design, easy to operate by single hand. Auto Start Feature after power loss/return . Over temperature set point alarm. Independent Over-temperature protection meets DIN 12880 International standard requirements provides you double protection.